Muscletech Nanox9 has been designed to be stacked with other supplements to achieve the specific results you are looking for. Muscletech Nanox9 is a nitric oxide injection system which increases the amount of blood flow to your muscles to maximize the pump you feel when working out and throughout the rest of the day. Has Any Scientific Research Been Done On This Product? Yes. Their formula only contains research-driven ingredients. NO products are slow to absorb and you can’t always feel them working. 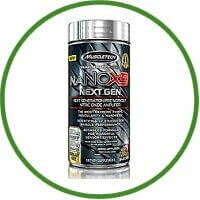 Muscletech Nanox9 contains specific ingredients (L-arginine-xanthinol nicotinate and L-arginine-ketoisocaproic acid-yohimbine HCl) which fuel the formula designed for faster absorption. It has been scientifically engineered so that the key ingredients start to enter your bloodstream right away. 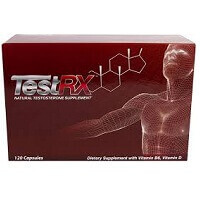 It rapidly increases NO production and forces maximum vasodilatation and pumps. It is designed for use by anyone looking to maximize gains as quickly as possible. Since the pump is vital to increasing muscle growth, it is important to take this product to achieve long lasting, muscle swelling pumps. Beginners should start by taking 1 serving with an 8 oz glass of water twice daily. There is a chart on the product which describes how to increase servings for intermediate and advanced bodybuilders. You should never exceed 10 pills in a 24 hour period. Read the entire label before using and carefully follow all directions. Why Is A Muscle Pump Important For Gains? Many bodybuilders look the pumped up feeling in the muscles they’ve just worked to show they are responding. Many feel the pump is important for gains because it is said to allow for better nutrient delivery to your muscles. It is also widely accepted that the muscle pump is responsible for 20-25% of the increase in muscle size.